A collection of 70 original Star Wars drawings from legendary art director and production designer Harry Lange are going under the hammer. Harry Lange was a legendary art director and production designer, best known for his work on Star Wars Episodes IV and V, 2001: Space Odyssey. 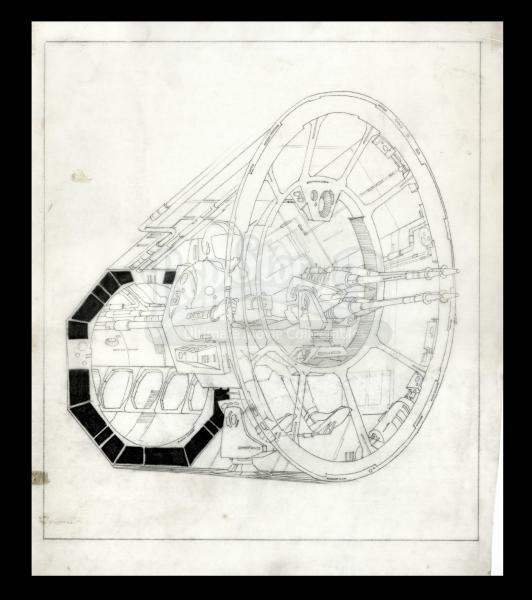 Now, an exclusive collection of 70 lots of Lange’s hand-drawn Star Wars concept art, production stills and more are going under the hammer at Prop Store. The catalogue is currently open for bidding and will close on April 19. This interrogation droid featured in Star Wars Episode IV: A New Hope. 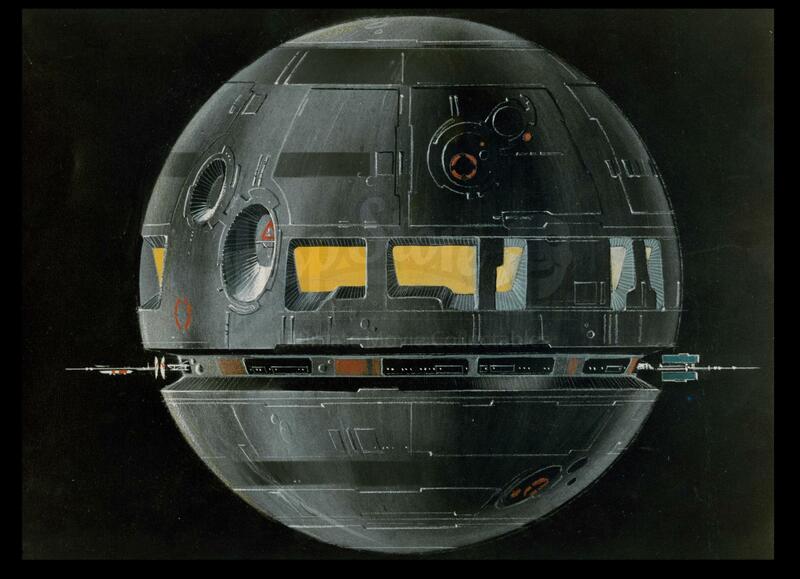 It was designed and controlled by the Imperial Security Bureau (ISB) and employed by the Galactic Empire. It was also used by none other than Darth Vader in his interrogation of Princess Leia Organa in 0 BBY. Organa underwent a mind probe: she was injected with a powerful mind-altering hallucinogen that made her very susceptible to suggestion. With mere words from Darth Vader, Leia imagined herself in unbearable pain, though she was not undergoing any physical harm whatsoever. Her uncanny fortitude prevented her from divulging any Alliance secrets during this torment. In later films, the interrogation droid was succeeded by the IT-3 Interrogator. This lot is a color print of Lange’s original concept for the interrogation droid. 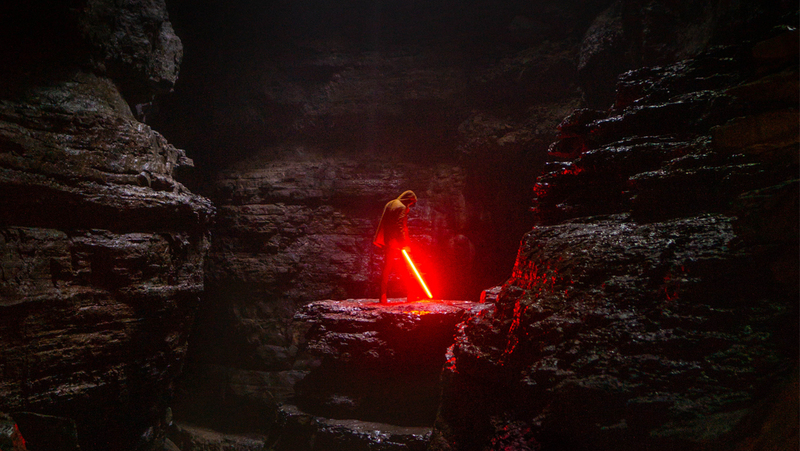 It accurately depicts the droid’s black body and red sensors, a trademark of Darth Vader’s villainous, signature colors of his own black costume and red lightsaber. 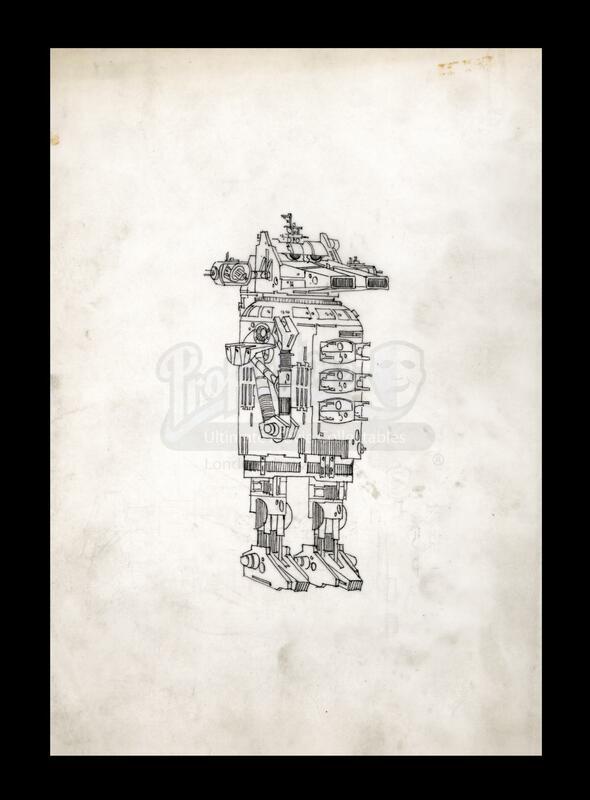 This particular droid is a concept design Harry Lange completed on vellum paper, however it was never taken beyond this concept and into production. The Millennium Falcon is, of course, the spaceship famously used by the smugglers and heroes Han Solo and Chewbacca during the Galactic Civil War: "It's the ship that made the Kessel Run in less than twelve parsecs. I've outrun Imperial starships. Not the local bulk cruisers mind you, I'm talking about the big Corellian ships now. She's fast enough for you old man," says Han Solo to Obi-Wan Kenobi. The Millennium Falcon’s powerful quad laser cannon is specially build into a gun port, which was modified by Han Solo who added the ventral cannons. The cannons drew power directly from the Falcon's Quadex power core. Enhanced power cyclers, high-volume gas feeds, and custom-modified laser actuators (with larger energization crystals) greatly increased the cannon's energy output. As a consequence, the weapon could destroy a TIE fighter with a single shot. If you’re a true Star Wars fan, you’ll find plenty more works by Harry Lange within Prop Store’s sale which closes on April 19.